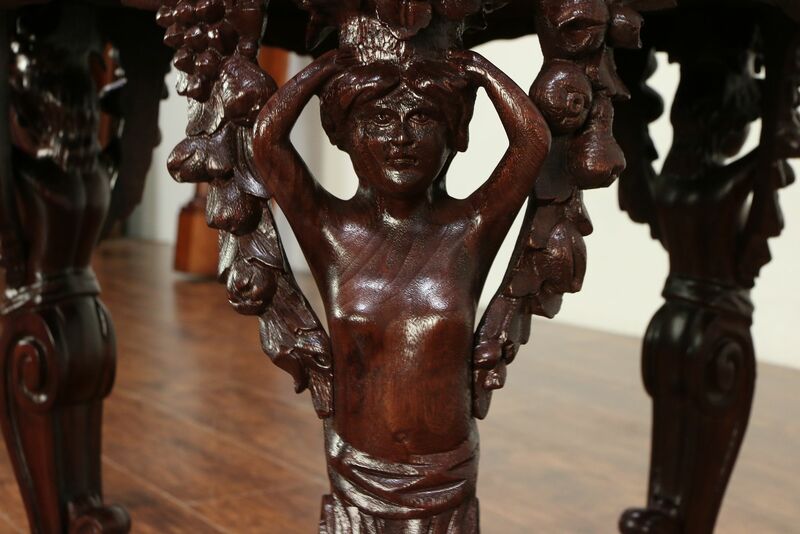 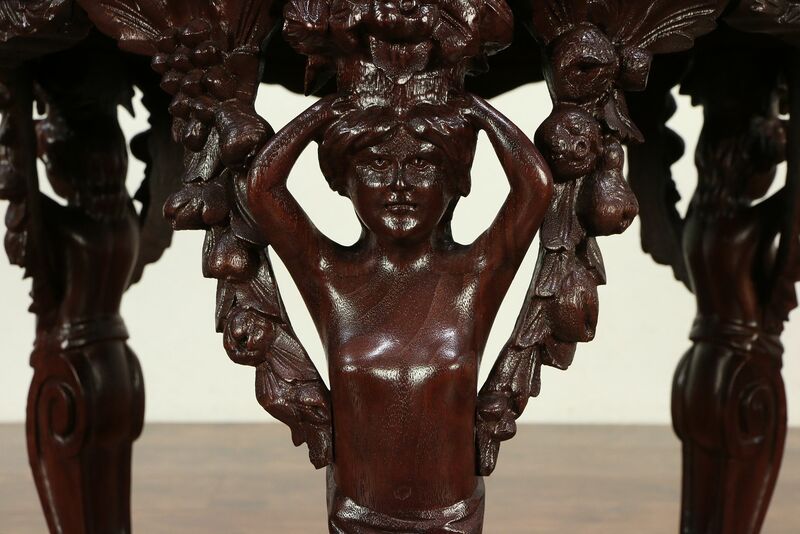 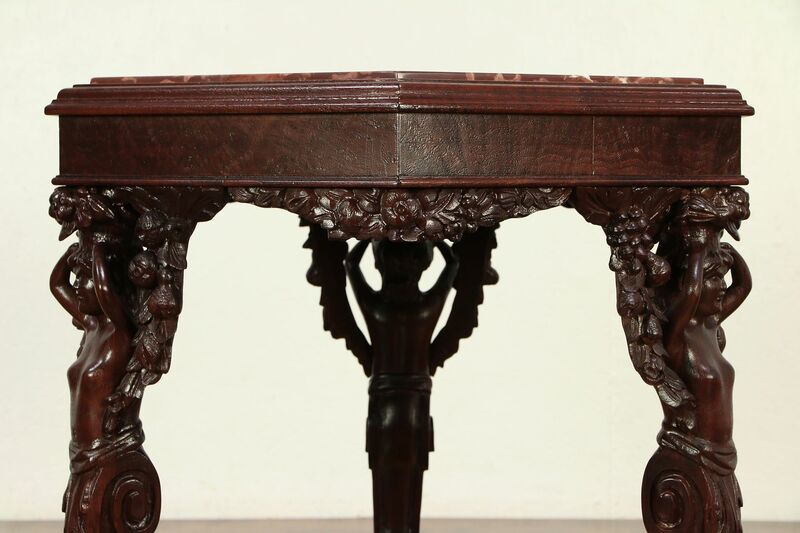 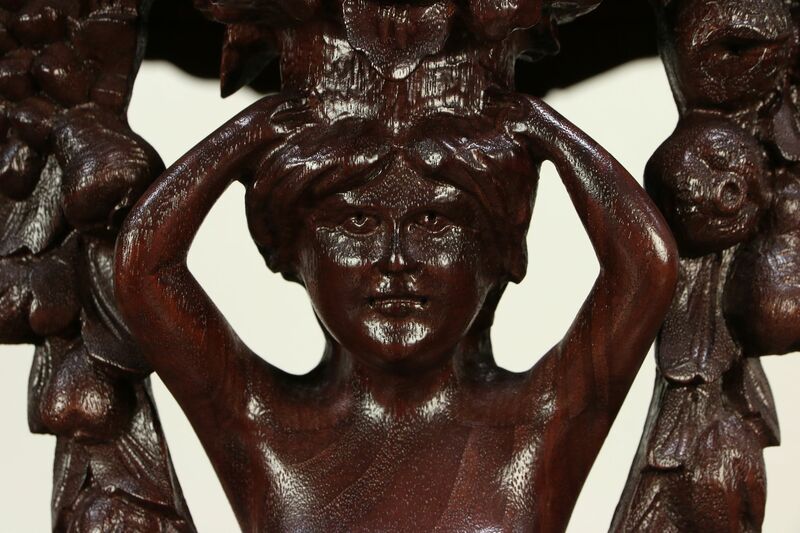 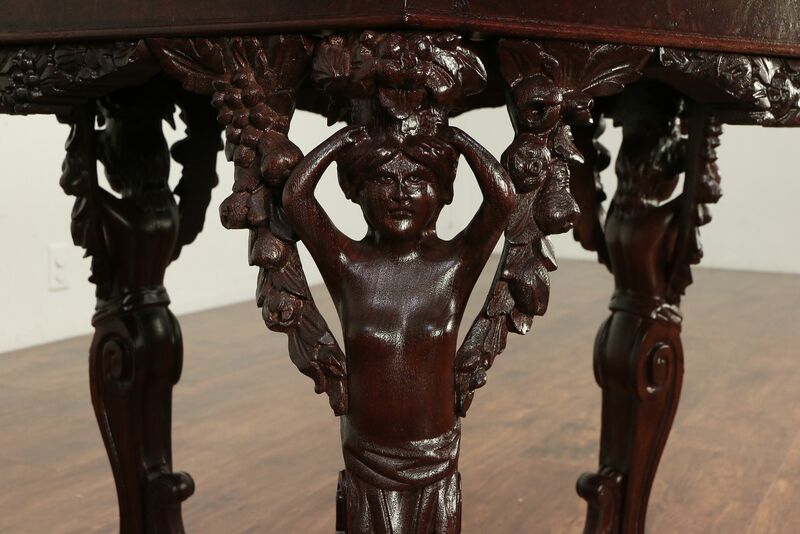 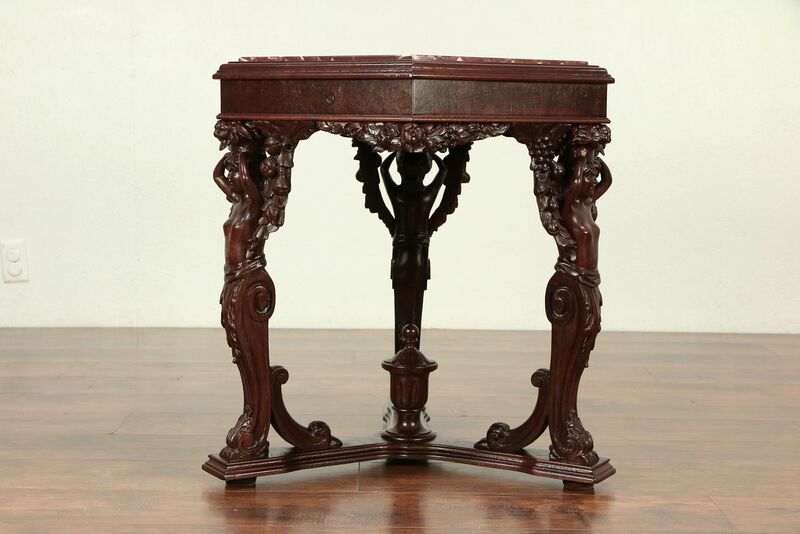 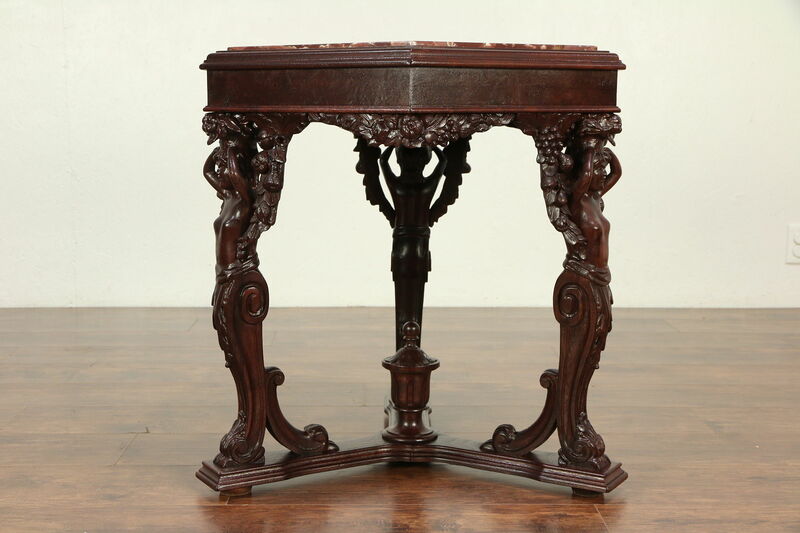 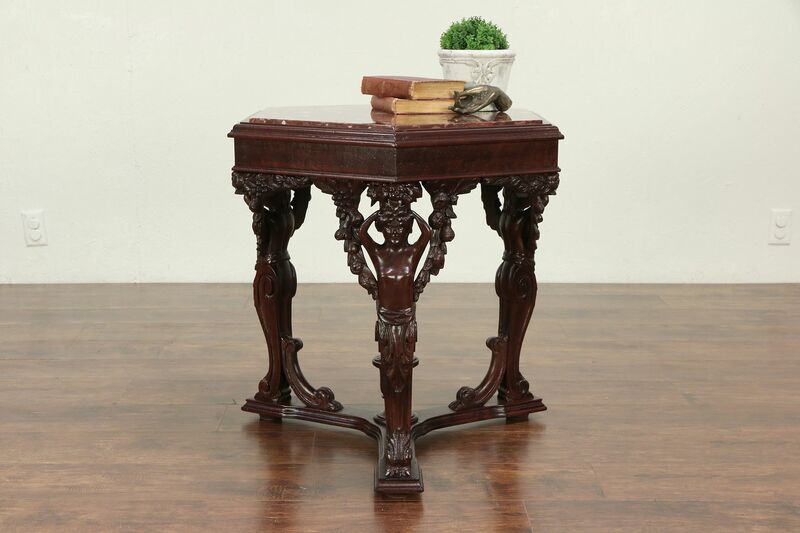 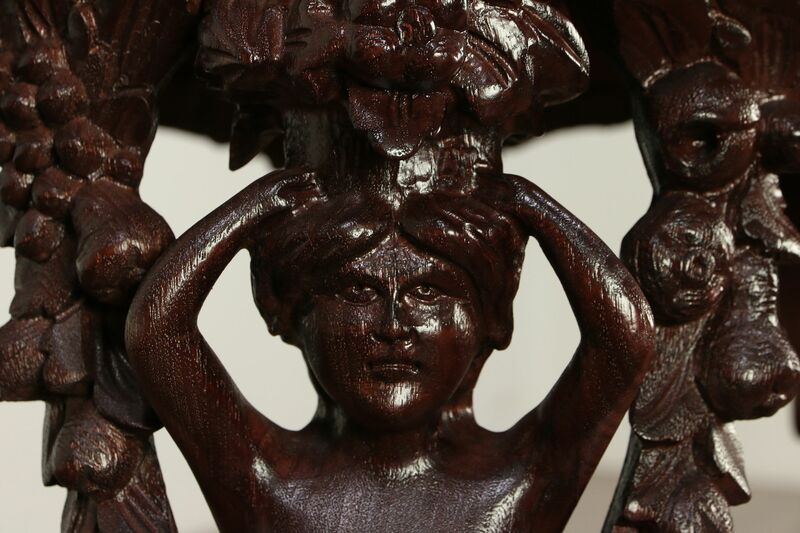 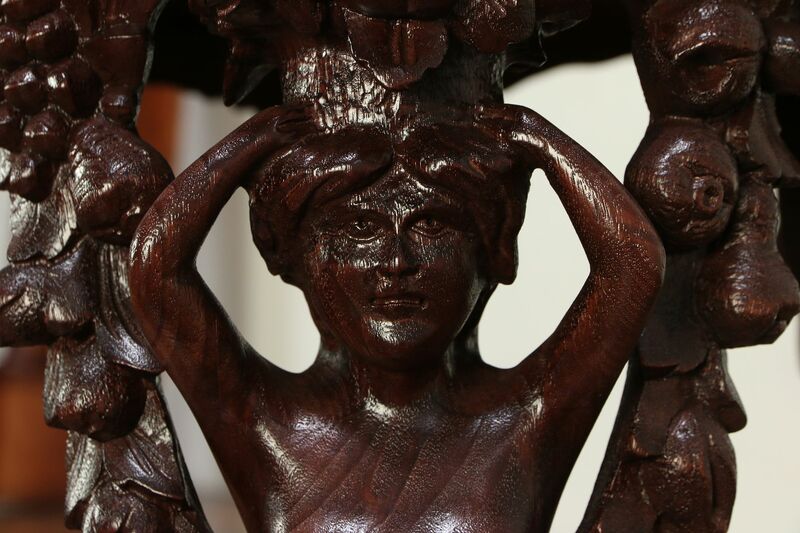 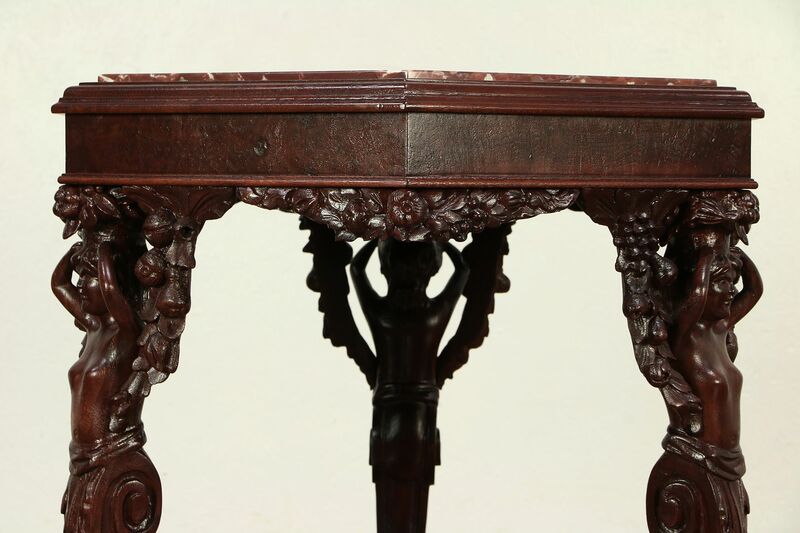 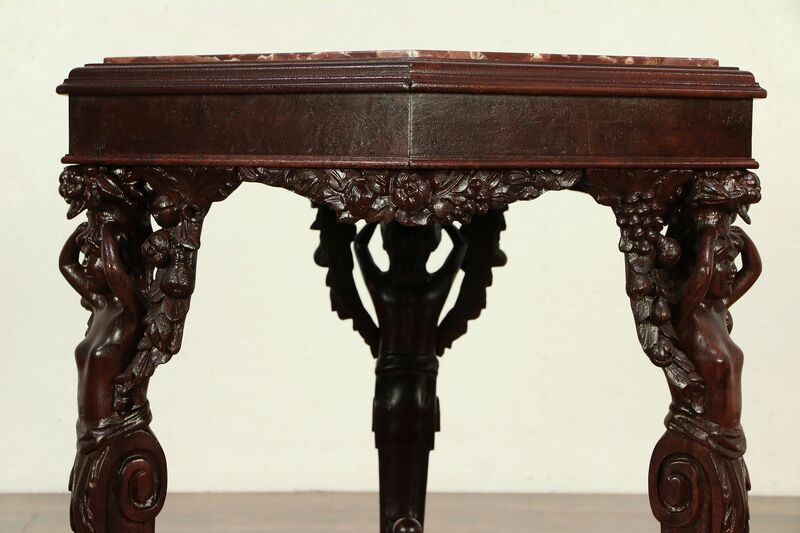 A wonderful hexagonal or six sided table is supported by three carved sculptures bearing swags of fruits. 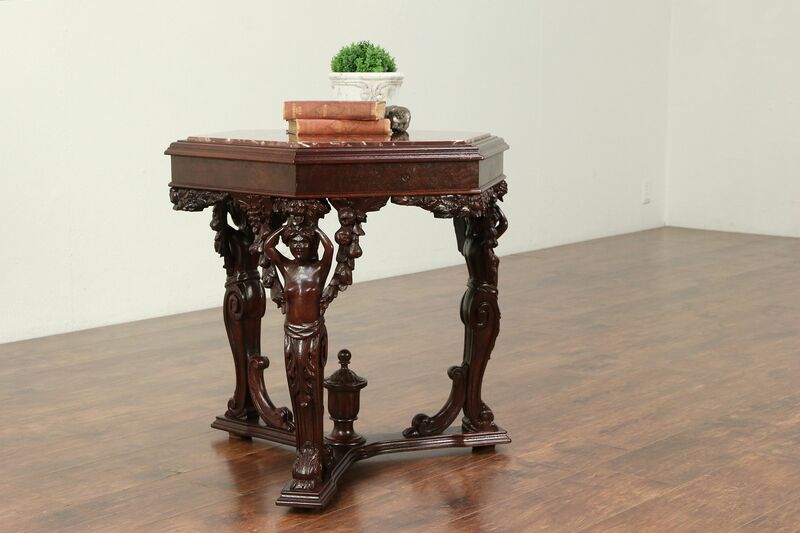 The red marble top is original on this American made antique furniture from about 1925. 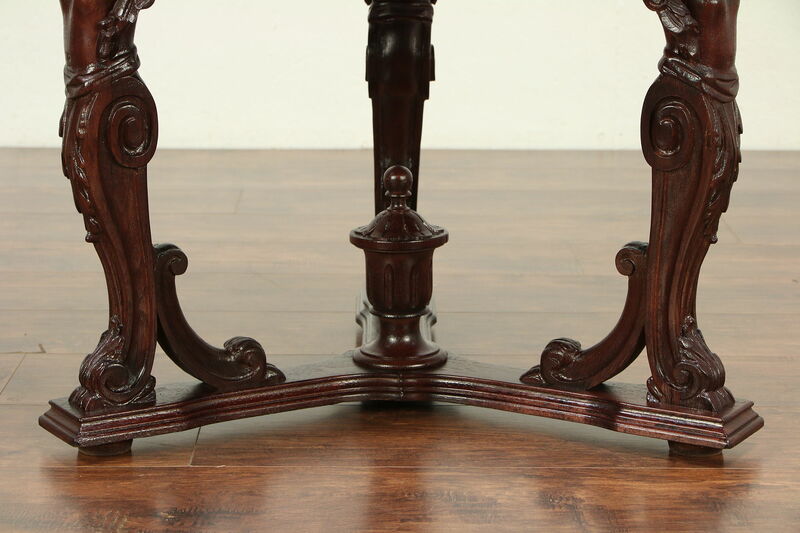 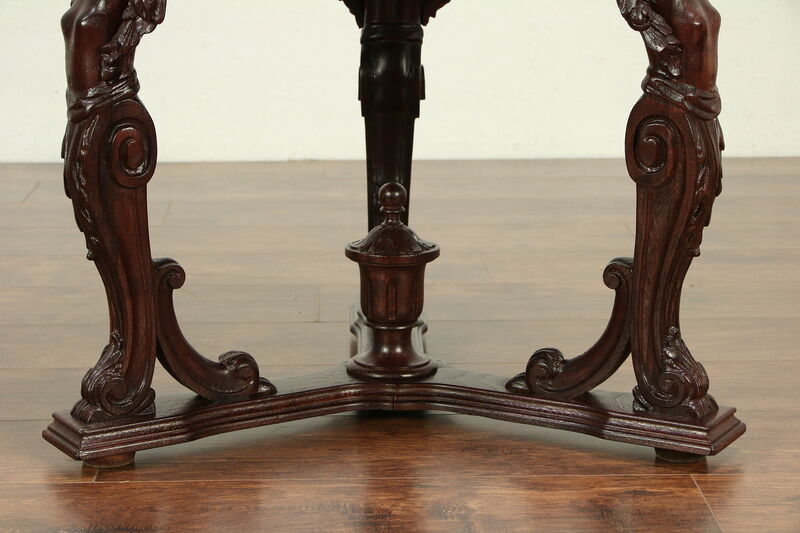 The restored finish is in excellent condition on solid walnut. 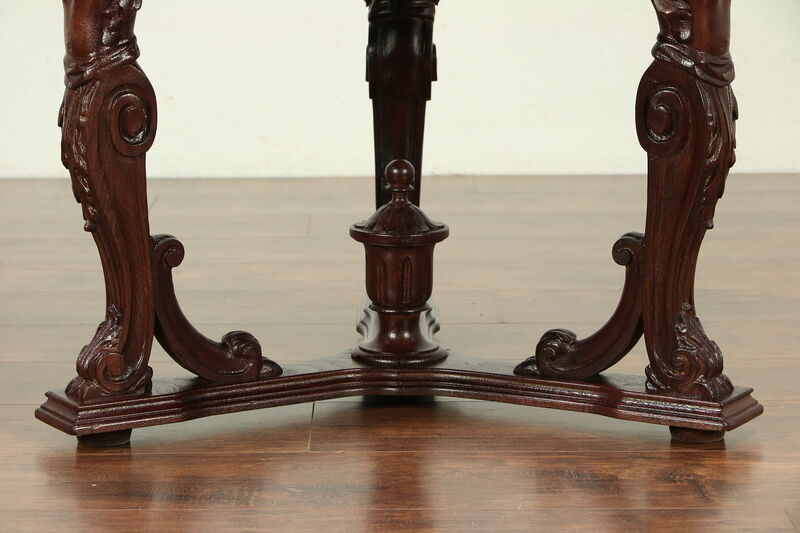 Reglued to serve another generation, the base is tight and strong. 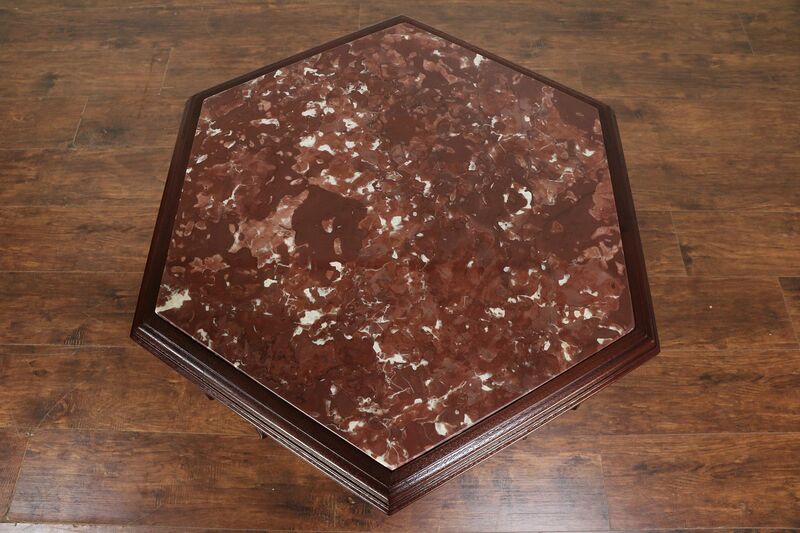 The marble has been polished and given a protective finish. 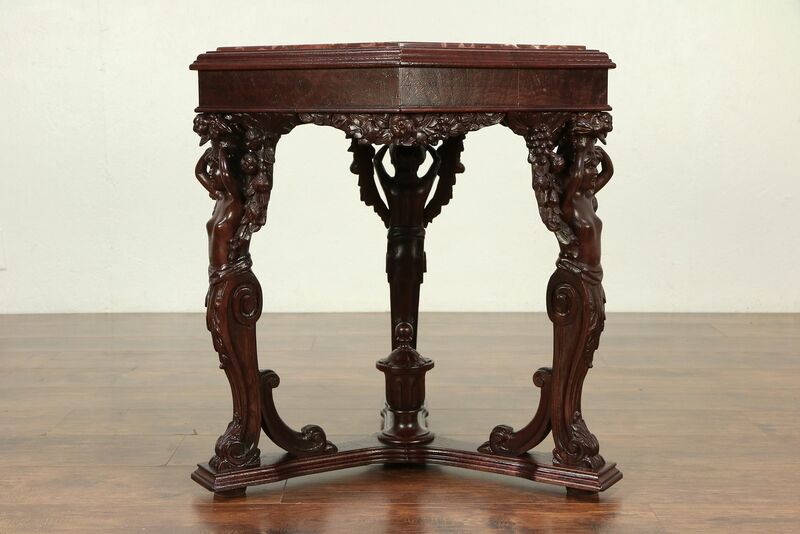 Size is 28" across and 26 1/2" tall.